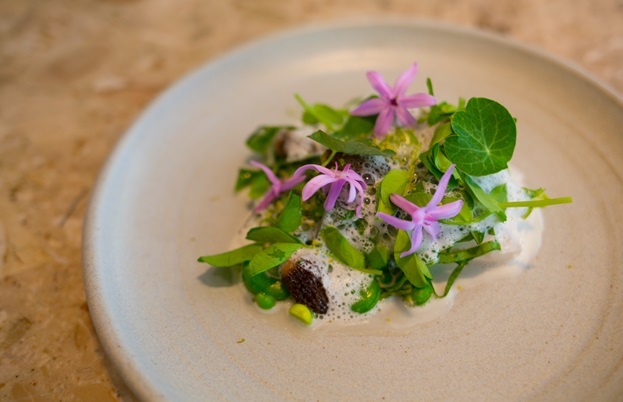 By inviting diners to become part of the menu development process, Adam Simmonds is offering a dining experience like no other. 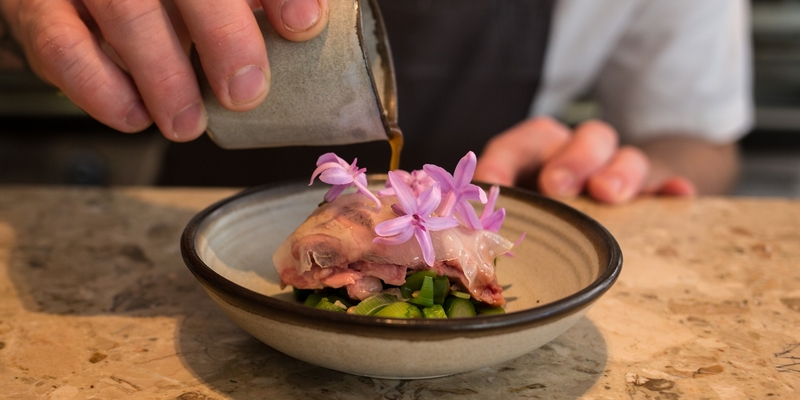 Tom Shingler heads to his pop-up restaurant in Soho to find out more. 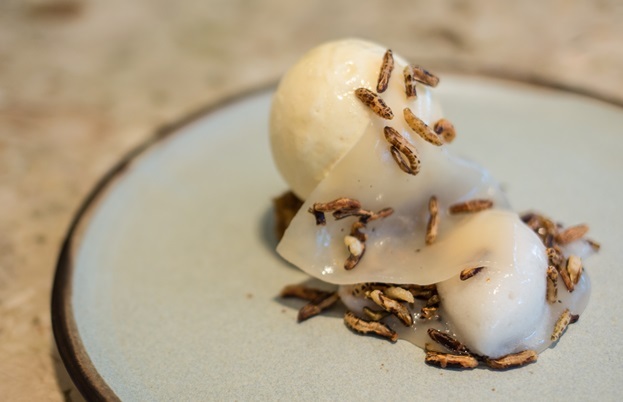 ‘We’re not governed by any rules here – we can change things as and when we like.’ I’m sitting with Adam Simmonds at the counter in his restaurant The Test Kitchen, in Soho, getting to know more about the chef’s latest project. The place is pretty small – a row of stools sit alongside the central bar, which acts as a pass with chefs hard at work behind it – but this isn’t where Adam is settling down for the foreseeable future. This is, as the name implies, a pop-up development kitchen, which will close in 2018 when Adam opens his permanent venue. But what makes it stand out is that it’s open to the public. 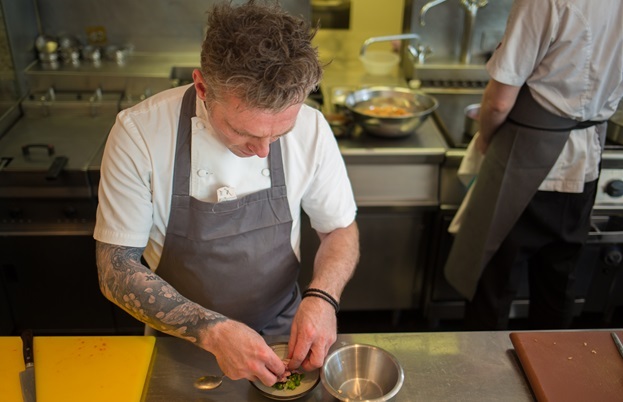 Adam has worked in and run Michelin-starred restaurants in the past, honing his skills at places like Le Manoir aux Quat’Saisons and winning awards as head chef of Danesfield House in Marlow. 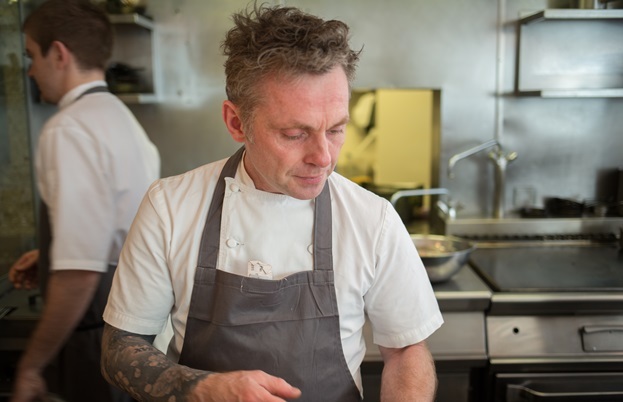 Over the past three years he’s been working as a consultant, going into kitchens to improve both the food and the way they’re run. But his primary goal was to open his own restaurant, something that proved harder to achieve than he first imagined. Just before Christmas last year, however, he managed to raise investment for a small site on Frith Street in central London. There was just one catch – the lease only lasted one year. Rather than passing on the opportunity, he made it work in his favour, opening The Test Kitchen as a twelve-month pop-up. It works like this: diners sit at the bar and choose as many dishes from the menu as they like (they recommend around four or five per person). They can then watch the chefs cook and prepare the food right in front of them, asking any questions about the ingredients, cooking techniques or thought processes behind the dish. After they’ve finished the meal, they’re given the chance to share their thoughts with the team. The whole experience is designed to appeal to those who don’t just like to eat out, but who love learning about food and cooking. It gives diners a real insight to the workings of a development kitchen, allowing them to help shape the menu and offer feedback first-hand. Breaking down the barriers between the kitchen and the dining room is something Adam is obviously passionate about (the chefs serve almost all the food themselves, with front of house staff pouring the drinks, clearing up and taking orders) and he hopes to integrate the idea into his permanent restaurant next year. ‘I’m looking for interaction with the customers above all else when I open permanently – I want people to be able to see what’s going on in the open kitchen no matter where they’re sitting in the restaurant,’ explains Adam. 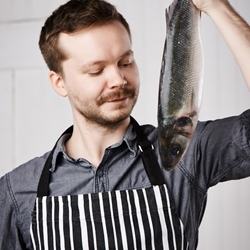 ‘I originally thought tasting menus would be the way to go, but I don’t think people want to be governed by a chef telling them what to eat anymore. Instead, I’m thinking about a sort of pick and mix approach, where customers can select their main proteins and then choose from a three, five, seven or ten-course menu. We need to look at it more, to ensure it’s viable and makes sense, but that’s the great thing with having this pop-up – we can try ideas out, and if they don’t work, try something else. ‘It all goes back to the permanent site,’ he adds. ‘If we can get all the legwork done here and make things a bit more seamless when we open next year, then great. I’ve looked at a couple of potential buildings already and being able to invite potential investors or landlords into The Test Kitchen so they can experience what we’re doing first-hand is a massive bonus. It’s a lot of hard work, running the pop-up while looking for investment and a site for the permanent restaurant at the same time, but that’s what I signed up for.’ It’s obvious that Adam has worked himself to the bone to get The Test Kitchen up and running, but after seeing the beautiful plates of food and tasting the balanced flavour combinations that only a Michelin-starred chef could pull off, it’s clear this is one test that he’s passed with flying colours.